Calder Park is set in 240 acres of land and had detailed planning consent for up to 1.5 million sq. ft. of bespoke office accommodation. Located close to junction 39 of the M1 to the south west of Wakefield. Prior to the development of the Calder Park business park, the land which forms Calder Park was worked for sand and gravel. 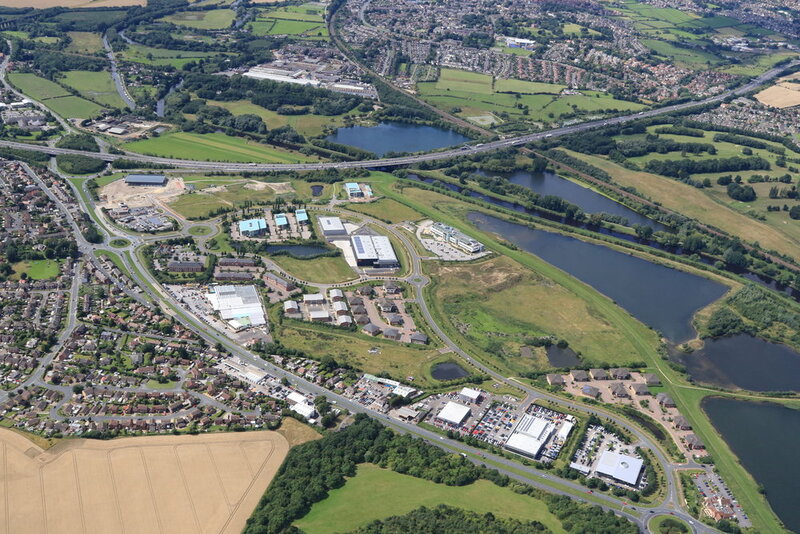 These prior extraction operations were undertaken by Lafarge Aggregates under a licence and saw the site restored to a landscape that provides an attractive setting for the high quality business park, and with flood defence capability. Over 500,000 tonnes of mineral were worked from the site over four years with a flood bund constructed using materials won from the site.